Migraine or tension or mixed, many headaches can be prevented or lessened in severity and frequency by one or more strategies. Take some time to go over this checklist and see if any of the suggestions might work for you. A common cause of migraine is fatigue and lack of rest. Some migraine sufferers are classic examples of the super-conscientious, super-hardworking, never-relaxing stereotype. If this is you, try giving yourself a break–lots of breaks, in fact. Stress is a major trigger of migraines and biofeedback a proven way to de-stress. You may be able to amplify your biofeedback technique by tuning into soothing music. Studies show that people who practiced biofeedback or relaxation techniques had remarkably good results. High heels force the back muscles to tense in order to keep the body erect. The tension works its way up your spine to your neck and head, and a headache can be the result. Low heels can solve this problem. Getting a headache during exercise can be a signal of underlying disease. If you’ve found that your exercise-related headache is not due to an underlying disease, try taking aspirin or ibuprofen before you exercise. It could stop the headache before it gets started. British researchers who studied 72 volunteers found that a capsule a day of dried feverfew, an herb, helped reduced the number and severity of attacks and incidents of vomiting, within a two-month period. There were no serious side effects, according to the study’s authors. Red wine is not at all cordial when it comes to migraine headaches, British researchers report. Nineteen migraine sufferers were given equal amounts of alcohol in the form of either red wine or vodka mixed with lemonade. The drinks were made indistinguishable in both appearance and taste, but the wine uncorked its wrath nonetheless. Nine of the 11 wine drinkers suffered headache attacks, while none of the 8 vodka drinkers did. Champagne and beer have also been found to set off migraines. Chop the MSG out of your food. Monosodium glutamate (MSG), a sodium-loaded flavor enhancer typically found in Chinese food (and many other prepared foods), can cause headaches. Check labels of processed and frozen dinners; be aware that even if the label doesn’t say MSG, an additive called hydrolyzed vegetable protein contains as much as 20 percent MSG. Caffeine is a well-known constrictor of blood vessels. That’s why it’s a common ingredient in headache medications. And that’s why cold-turkey withdrawal from five to six cups of coffee a day can quickly dilate the blood vessels in your head, causing intense headaches. So instead of stopping caffeine today, gradually wean yourself over two to three weeks. Say “baloney” to hot dogs. Hot dogs, luncheon meats, ham, bacon, and other cured meats usually contained nitrates, which are implicated in many people’s migraines. Aged and process cheeses, especially the strong ones like cheddar, are common instigators of migraine. Missing or skipping meals is another way to b ring on a migraine. 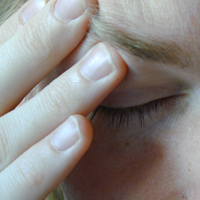 Vitamin B6 in large doses can cause headaches. So can vitamin A and iron. Rush hour is loaded with this migraine trigger. Avoid the mob by changing your commuting schedule. An aspirin every other day seems to have helped doctors decrease the number of their own migraines by 20 percent, according to data from the 22,000-doctor Physicians’ Health Study. Aspirin keeps the blood’s clotting agents, platelets, from sticking together and releasing headache-causing serotonin. Since aspirin can interfere with other medications, and on its own cause stomach ulcers, check with your doctor before embarking on your own aspirin therapy. Harold is a health practitioner with years of experience in alternative medicine and healing. He also maintains a health blog catering factual advises to help people with illness or disorders but currently focusing on researching for ways to treat or prevent sleep apnea in adults and children.